I/O ports on the side of the screen. Two USB 3.0 ports and an SD card reader provide super-speedy data transmissions. OSD Controller - Viewing Adjustments in an Instant. Three pre-set hot keys allow quick switching between 1. sRGB Mode, 2. CAD/CAM Mode, 3. Low Blue Light Mode, or enables you to assign your own set of display modes. The BL3200PT is designed to save as much of your workspace as possible. Its compact stand architecture enables the screen to sit at the very edge of the desk to maximize your working space and comfort. The slim bezel makes the monitor lighter and larger. In a multi-display setup with two or more units, thin bezels are less intrusive and effectively expand your workspace. Extend your design space to view the smallest details with the 32" BL3200PT monitor. Accurate color gamut that brings your imagination to life, a large 32" screen that extends your design space, high resolution to view the smallest details and ergonomic features that provide excellent viewing comfort. ..combine these and the result is the BenQ BL3200PT, a monitor that meets all of your graphic designing needs. Features such as 2560x1440 WQHD resolution and 32" of monitor real estate decreases scrolling to zoom in and out of views, boosting design productivity. And BenQ's advanced 100% sRGB screen technology delivers colors with the finest precision in the greatest detail and at every possible viewing angle. 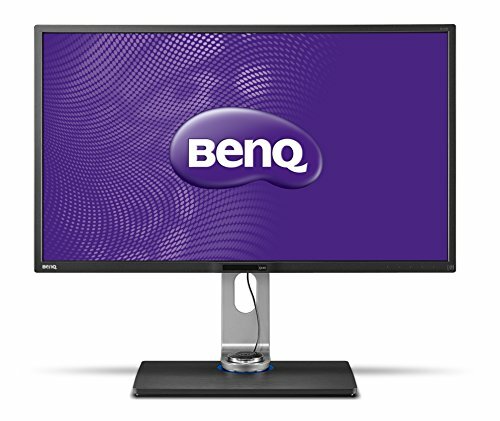 BenQ is revolutionizing the monitor industry with improved resolutions, faster response time and quicker refresh rates. Their exclusive RevolutionEyes technology empowers users to work and play better than ever before, and is also better for the eyes, allowing extended, comfortable vision. 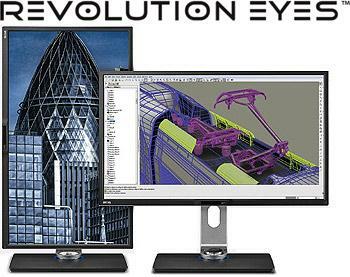 In the BL Series, RevolutionEyes technology includes BenQ's ZeroFlicker technology, Low Blue Light, a slim bezel design, purpose-built color modes for easier viewing, and improved Eco Mode for long term power savings. Large screen monitors usually take a cumbersome amount of space on a desk. The BL3200PT is designed to save as much of your workspace as possible. Its compact stand architecture enables the screen to sit at the very edge of the desk to maximize your working space and comfort. The slim bezel makes the monitor lighter and larger. In a multi-display setup with two or more units, thin bezels are less intrusive and effectively expand your workspace. And the BL3200PT has an extensive range of monitor adjustments--height, tilt, pivot, stroke and swivel. This allows you to tailor your own unique desk space that is best suited for your height and viewing preferences. A maximum 150mm distance between the screen bottom and the base affords you great viewing flexibility. The unique CAD/CAM Mode is specially designed to enhance work efficiency and increase eye comfort for CAD/CAM designers. With incredibly high 3000:1 color contrast, every line is perfectly distinguished. BenQ CAD/CAM monitors ensure that you will never miss a line again in your design work. And to clearly distinguish texture details in dark areas, BenQ developed Animation Mode that enhances brightness in dark zones without overexposing bright areas. With ten levels of brightness, the Animation Mode provides the comfort and freedom that every designer has eagerly awaited. The ZeroFlicker technology eliminates flickering at all brightness levels, effectively resulting in enhanced eye comfort. Conventional LCD screens flick 200 times per second. Your eyes may not see those flickers, but they can certainly feel them. Free your eyes from flickers by switching to any one of the picture modes available in the BL3200PT. You’re working hard enough as it is, let your eyes enjoy comfort and work less. Every monitor produces a blue spectrum of light that is one of the major causes of eye discomfort. BenQ's unique Low Blue Light technology is designed to deal with the everyday problem of blue light exposure and provides for healthier time spent in front of your computer. Switch to one of the four preset Low Blue Light Modes from the OSD hot key (Multimedia--30% reduction, Web-surfing--50% reduction, Office--60% reduction, Reading--70% reduction) and reward your eyes without having to lose the visual enjoyment. Each of these modes were specifically designed to provide extended comfort for every day applications. Auto Pivot detects the rotation of the monitor and dynamically rotates displayed content automatically. All windows will be equally proportioned and displayed on the screen when clicking on the Desktop Partition icon. This allows you to compare designs with just one simple click. Moreover, you can preset different picture modes for each frequently used application. Display Pilot will automatically switch to your preferred viewing mode. This unique control device is docked to the stand of every BL3200PT monitor, providing you remote access to the OSD menu. Three preset hot keys allow quick switching between sRGB Mode, CAD/CAM Mode, Low Blue Light Mode, or enables you to assign your own set of display modes, providing ultimate flexibility. By integrating two USB 3.0 ports, you can transfer data up to 4 times faster than your traditional USB connectors. 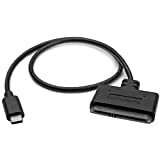 In addition, the two USB 3.0 ports and the SD card reader are conveniently located on the side of the monitor for easy and quick access. 27" 27" 27" 32" 24"